In fourteen years Söderberg & Partners has evolved from a small entrepreneurial company into one of Sweden’s leading advisor of insurance and financial products. This has been a very exciting journey and we are continuously developing our business. Söderberg & Partner’s strength is the ability to utilize people’s ideas and willingness to develop. Our creative and stimulating environment allows people to grow, and we are constantly looking for talented and skilled employees with a strong desire to succeed and develop within their field. 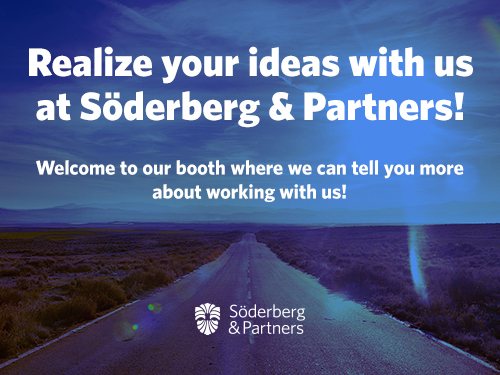 Welcome to our booth where we can tell you more about working at Söderberg & Partners!